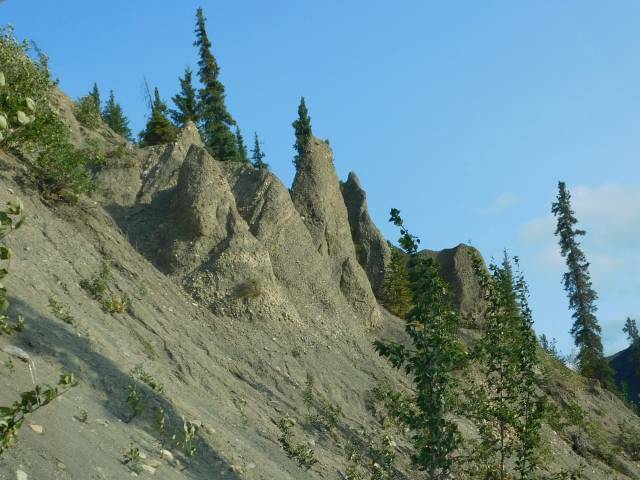 Hoodoos, erosion features, on the So. Canol Road! Nature is amazing and full of surprises.